"A picture-perfect destination with stunning ocean vistas, green grapevine-filled valleys, shaggy sheep snoozing under ancient oaks, and massive redwoods soaring into the sky. Join us on our journey around the county for some of the top spots to capture yourself (and friends and family) in the outstanding natural beauty that is Mendocino County!" The village perches proudly on a small, slightly hilly peninsula, overlooking the Pacific Ocean, and is surrounded on three sides by the Mendocino Headlands State Park coastal bluffs. There are lovely scenic coastal trails to explore here, either on foot or by bicycle, especially in the nearby Van Damme State Park, known for its pygmy forest of dwarf full grown conifers. Alternatively you can take a kayak trip to the coast's impressive sea caves or explore the waterfalls and turbulent waters of Russian Gulch. Nearby, the ancient Redwood forest boasts some of the tallest trees in the world where Coast and Sierra Redwoods can grow up to 370 feet tall. Mendocino is surrounded by some of the most fantastic wineries, most renowned for its selection of local Mendocino county Pinot Noirs. Most of the local restaurants are very "eco-friendly" offering a selection of local food and wine on most menus. The Skunk Train is Mendocino's most well known tourist attraction, taking visitors on a trip through the nearby redwood forests on an old fashioned steam train. The North Coast Brewery is well worth a visit with a fantastic selection of real ales brewed just next door and fabulous diner style food too. The botanical gardens are also impressive, stretching right the way to the sea, with spectacular displays of rhododendrons and heather and other beautifully kept gardens all year around. Mendocino is not just known for its craft beer and luscious wines, apple growers in the county are producing some of the best English-style ciders around. Mendocino County is a picture-perfect destination with stunning ocean vistas, green grapevine-filled valleys, shaggy sheep snoozing under ancient oaks, and massive redwoods soaring into the sky. Join us on our journey around the county for some of the top spots to capture yourself (and friends and family) in the outstanding natural beauty that is Mendocino County! Big River in Mendocino County is, as the name implies, big. But it's also beautiful and rich with life. It's also protected. It's also rich with history. It's all these things, and so much more. 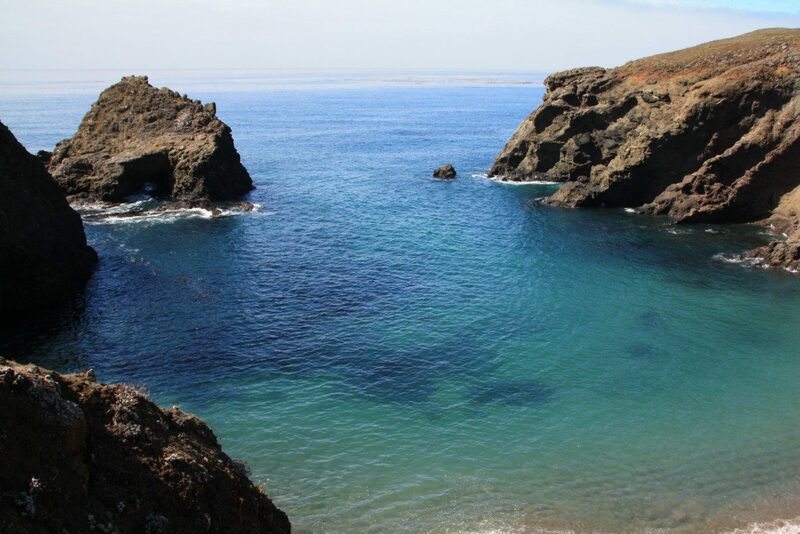 It's one of Mendocino County's great resources, and while you can see it by foot or by bicycle, there is truly no better way to appreciate it than by getting on the water and exploring its length. Big River is the longest undeveloped estuary in Northern California. The estuary is now a thriving ecosystem, rich with biodiversity at all levels. As you paddle along, you're likely to see a variety of beautiful wildlife. During the spring you may see harbor seals pupping in the warm sun a few miles up the river. Great Blue Herons make their home here, and will stand stock still as you paddle past. Look closely and you may find an otter snacking on a crab on a log. All told there are 22 species of fish, and over 130 species of bird that can be spotted here. Beyond the natural beauty, there are also historical artifacts you will find as you wend your way down the river. In addition to pilings from old bridges, the remains of two paddleboats (the Maru) are still there, although submerged. The lower four miles are completely tidal, and are ideal for beginners, as you can travel with the tide and have much of the work done for you (if you like standup paddle boarding, this is a perfect location). Past that, the passable river continues for another 4.3 miles with a mild flow most of the year, and it entirely doable even for novice paddlers (though remember, how ever far you paddle in, you'll have to paddle out!). 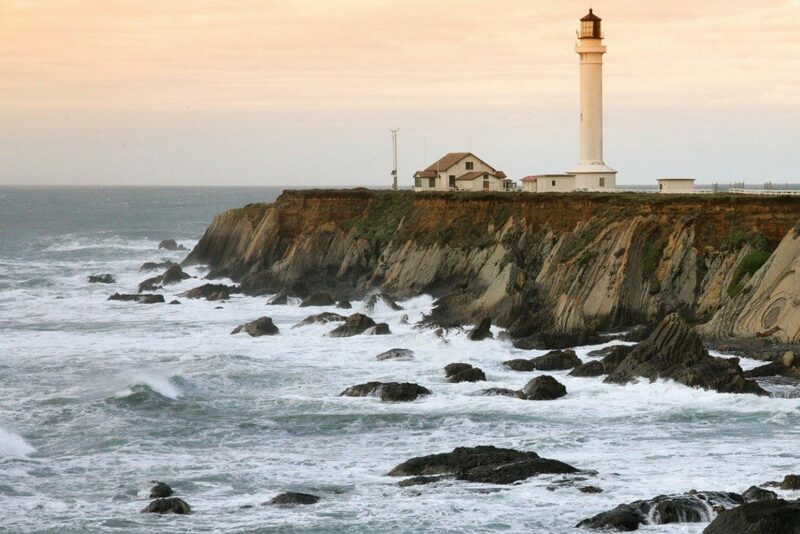 From coastal hikes to farm-to-table dinners and wine tasting, Mendocino County has lots of things to do during your stay. Explore unique art galleries, ride the Skunk Train, catch a concert, or enjoy our celebrated fairs and festivals. Mendocino County is very pet-friendly! Many hotels, B&Bs, and inns provide pet-friendly rooms, and some restaurants welcome pets in their outdoor dining areas. Between 1996 and 2000, the “Mendocino Tree” was thought to be the tallest tree in the world, but that crown was toppled when a number of taller trees were discovered in Humboldt County. The Mendocino Tree still grows in the old-growth redwood groves in Montgomery Woods, but its precise location is kept secret! Enjoy a walk along the boardwalks in the 1,300+ acre park – boardwalks protect the fragile forest floor from damage – and marvel at the giant, living beings. In springtime, Montgomery Creek runs through the park, and wild iris and trillium bloom along the banks. 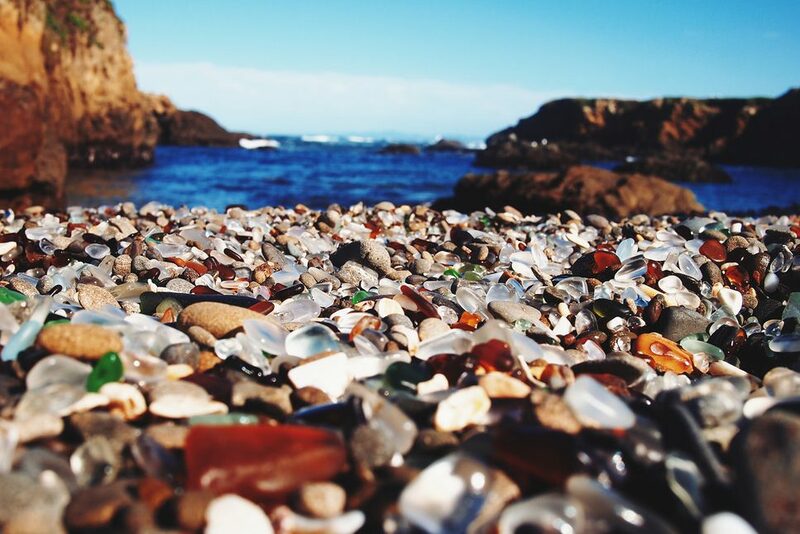 Glass Beach: Yes, there's still lots of glass at Glass Beach! The beach – actually three of them – was created over decades as the pounding surf and passage of time turned broken head- and tail-lights, apothecary and soda bottles, and discarded household trash into today's treasure. The newly opened coastal trail at Noyo Headlands Park now offers visitors access to all the beaches at Glass Beach. Just take Elm Street to the west in Fort Bragg and you'll find plenty of parking, and walks along the clifftops. Please leave the glass where it belongs so that future generations can enjoy this unusual beach. Bowling Ball Beach: At low tide the beach looks as though it's covered with bowling balls. These are actually geological phenomena called “concretions” composed of more resilient material than the surrounding rock and sand. Over millions of years, the Pacific Ocean and weather has eroded the surrounding material, leaving the “bowling balls” on the beach. The closest airport offering regularly scheduled service is Charles M. Schulz-Sonoma County Airport (STS). 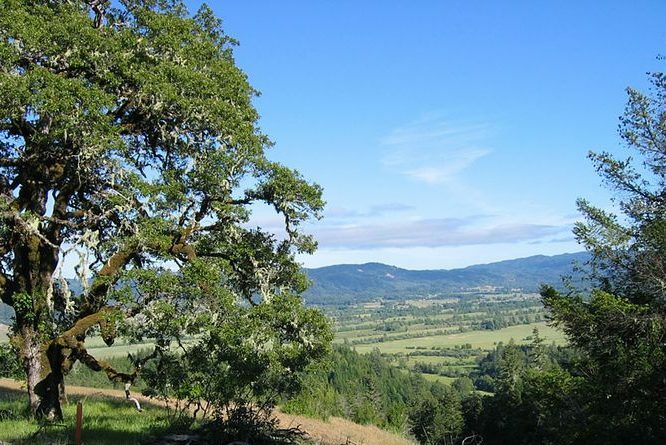 It's located in Santa Rosa about an hour's drive(55 miles)from Ukiah and a two hour drive from the Village of Mendocino. Car rental from the airport is available. International travelers to Mendocino County can fly in to San Francisco, Oakland and SacramentoInternational Airports, each of which are located about 2-3 hours from the county, depending on your destination.